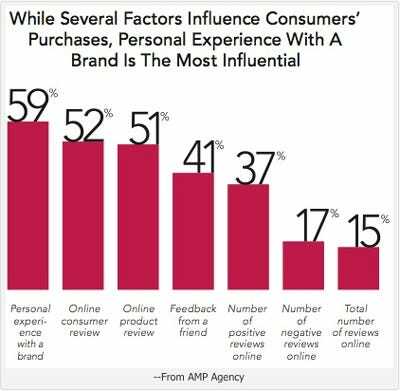 Online consumers are using the Internet to research products and make choices, feeling less loyal to single brands in most categories. In fact, according to research from AMP, a marketing agency, 43% of all consumers claim they research products before they buy. In consumer electronics, that number is actually at 64%. According to the report, 94% of consumers said that research positively influenced their decision to make a purchase, and 36% said they bought a product because of the research they found.